This is a painting close to home for me. I was painting on location at my family’s farm. 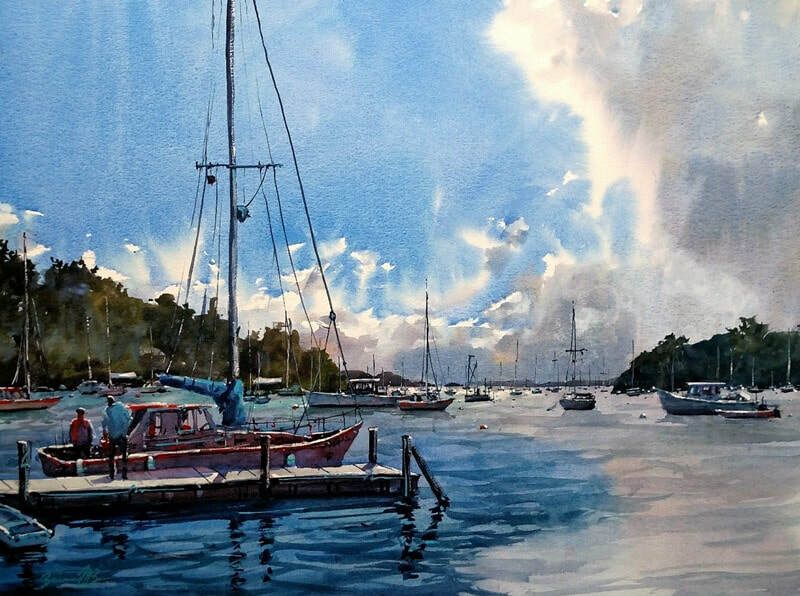 I love to paint here because I know it so well. The fall is my favorite time of year to paint at this location. I painted this painting on site with some artist friends of mine. We were near the Philidelphia, PA area. I love the shape and color of Cypruss trees in the fall and that is what I tried to capture with this painting. This is a great historic barn in central PA. The levels of roofs was so fun to paint and this area is esspecially pretty in the fall. The sky is definitely the star in this painting. I was in Maine on a painting trip. It was an overcast day, but then the clouds parted and the scene was brilliant for a moment. I tried to capture that moment in this painting. Another painting from my trip to Maine, one of my new favorite places. The glow on the water as the light was falling was magical. Again, this is a moment that didn’t last very long. My family and I played on these rocky shores for several hours. There is iconic about the rocky seashores of Maine and the sound of the waves crashing against the rocks was mesmerizing. Hershey, PA is a fun town to paint. There is an eclectic collection of building styles there and it doesn’t hurt that the town smells like chocolate. The glow of the underside of these umbrellas is what I loved about this scene. 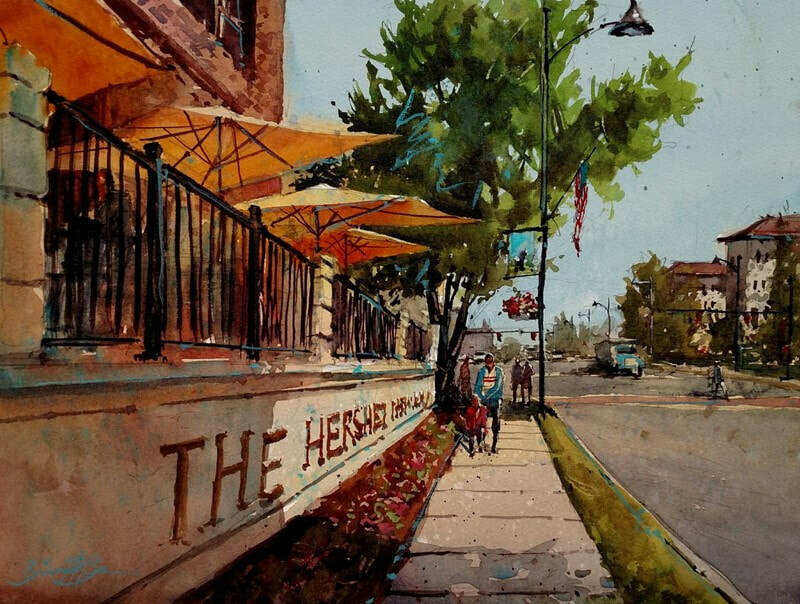 This is a plein air painting from the Historic Downtown of Frederick, MD. This structure is iconic for the area. 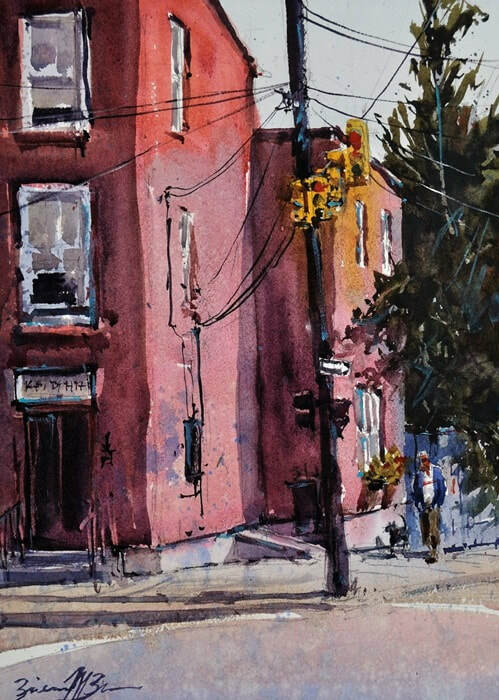 I love to paint citystreets because there are always so many fun shapes to paint, like this collection of street lights in Frederick, MD. 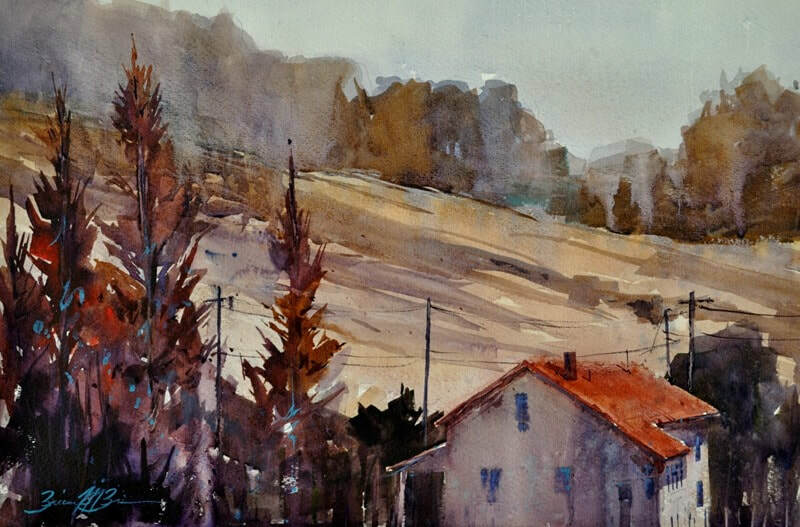 "I love the wonderful sense of freedom and slightly controlled chaos that watercolor provides. All of my paintings begin with choosing a subject, whether I am on location or painting from photographs. I look for interesting shapes, designs, and light patterns. After a small value sketch where I plan my composition, I lightly draw on my paper for a general guideline. As I apply paint, I look for inspiration in the scene, in the people I see, and in the paint on the paper. I start to look less and less at the scene in front of me and more at my evolving painting. This helps me to focus less on the details of my subject, and more on my impressions of where I am. When I paint, I learn more about myself and how I see the world. I find beauty in everyday life, the so called “mundane”. Ordinary people going about their everyday lives inspire me. I especially enjoy painting en plein air, where each painting reminds me of where I was, of the experiences I had, the sounds, smells, and the people I met. 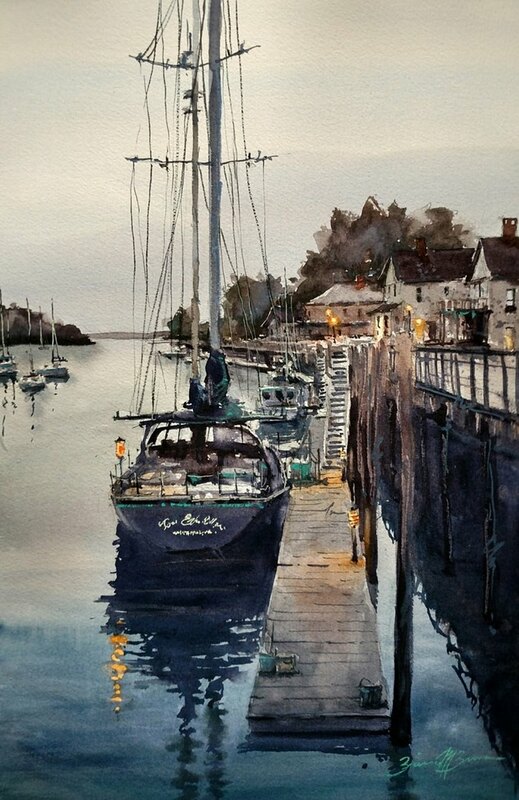 My paintings are always more about a moment in time than about a particular location." After leaving her job as a toxicologist to raise her first child in 2008, Brienne had the opportunity to paint more consistently. Prioritizing painting and taking workshops from artists she admired paid off. Soon she was not only exhibiting and entering shows regularly, but also winning awards. 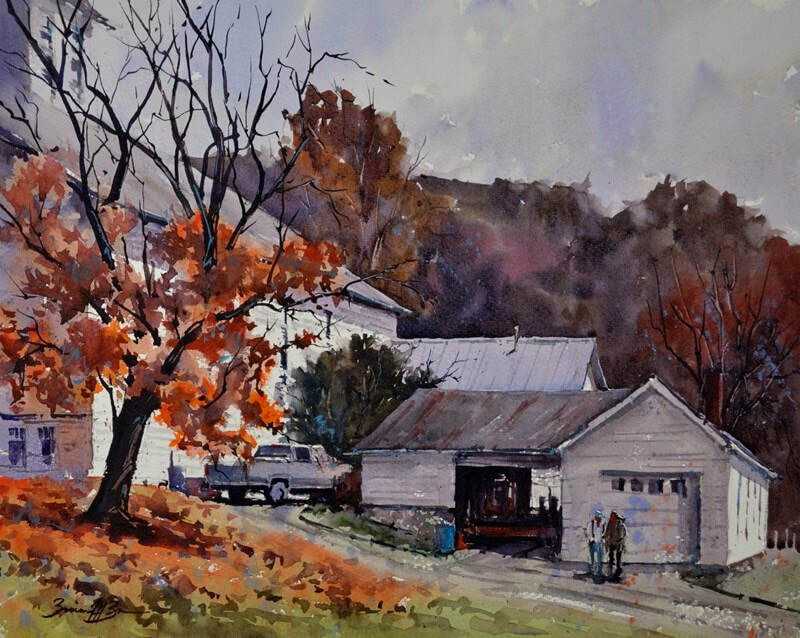 Brienne holds signature membership status for the National Watercolor Society, Western Federation of Watercolor Societies, Pennsylvania Watercolor Society, and Utah Watercolor Society. 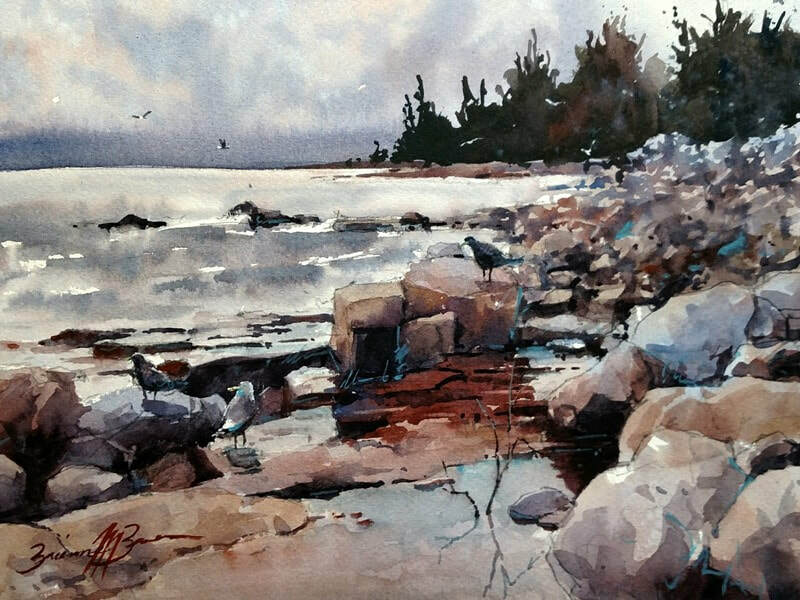 Her work has been published in Splash 17 Best of Watercolor: Inspired Subjects, PleinAir Magazine, and Watercolor Artist Magazine. 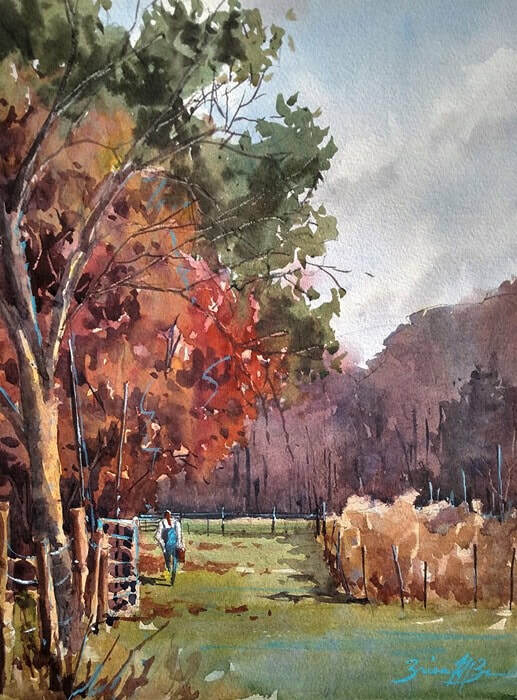 Brienne’s passion is watercolor and plein air painting. 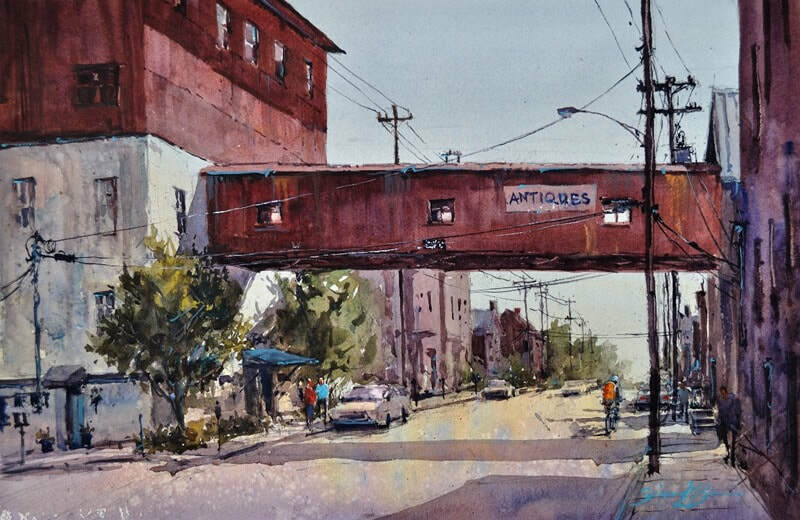 She has won several top awards in many plein air competitions across the country.